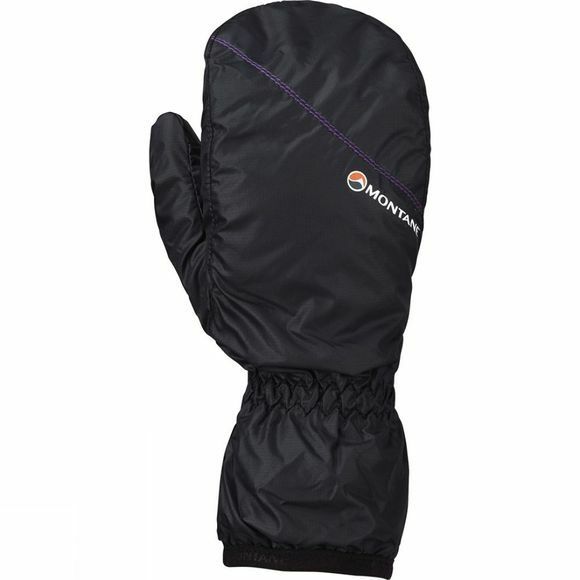 This revolutionary mitt has a micro pack size and a superb warmth-to-weight ratio. Featuring Primaloft Gold insulation, it also has a Pertex Microlight outer for wind protection and a brushed microfleece lining for warmth and wicking. Ideal as a multi-use mitt that will live unnoticed in your pack or pocket, the Women's Prism Mitt is easily pulled on when needed.